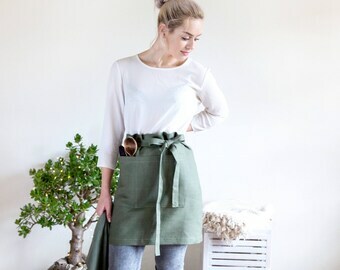 Short cafe apron with two pockets is a stylish and helpful option for restaurant and cafe use. 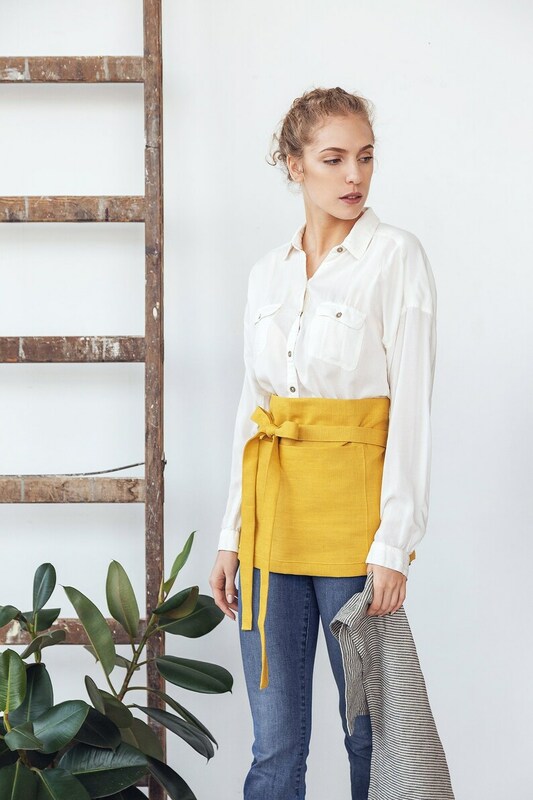 Linen apron is a functional and long lasting. This is a made to order item, please allow 5-10 business days for this to be made prior to shipment. 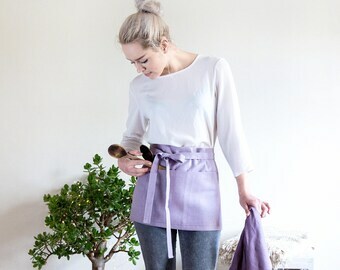 Linen half apron. 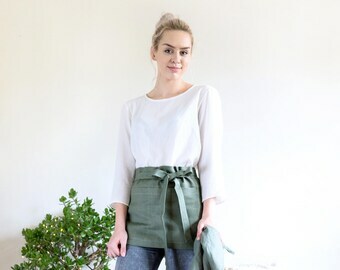 Natural waist apron with front pocket. 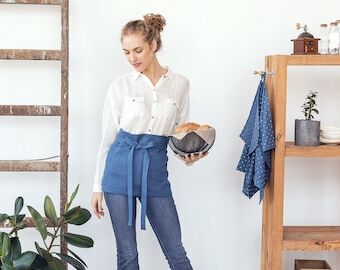 Bistro style cafe apron.